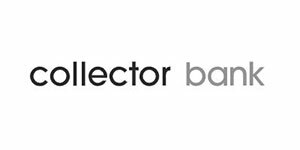 Collector is a Swedish niche bank based around digital banking mainly operating in Finland, Norway and Sweden. Their business model focuses on offering competitive financing solutions to private and corporate customers. Hoping to gain an edge over the traditional banks by using cutting edge innovative fintech solutions. property credits and consumer loans. Collector was granted a banking license in 2015 and had their IPO on Nasdaq Nordic later that year. Outside of the Nordic Countries already mentioned, Collector Bank also have some business presence in Austria, Denmark, Germany and the Netherlands. Over the years, Collector has finalized several expansion projects but are always looking to tap into new markets.